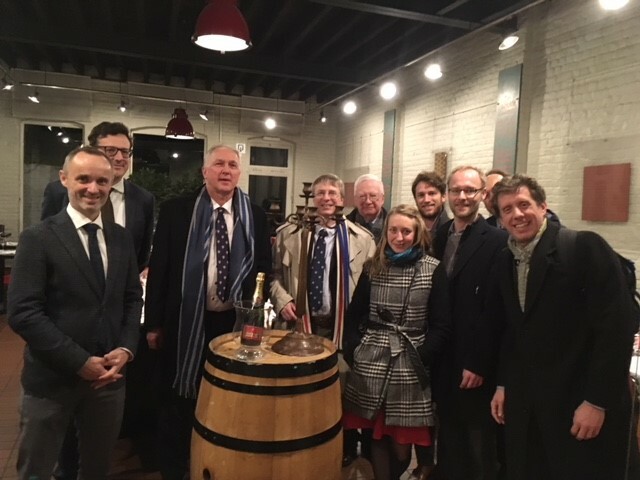 21st February 2019 — Yale mixer at à la Becasse. We had a surprisingly large turnout for this first Yale event of its type in Brussels. John Hopkins, Columbia, Harvard as well at Cantabs were there en masse. 31st January 2019 — Our 25th Anniversary Dinner. We celebrated the founding of the Society in 1994 at the Cercle Royal Gaulois. The exact date of our founding was 28th January. 19th December 2018 — Camsoc Luxembourg Student-Alumni Dinner that at the Hotel Parc Belair at 7:30pm. 16th December 2018 — Camsoc Christmas Party and also Beethoven’s Birthday! A great time was had. 12th December 2018 — Oxford and Cambridge Christmas Mixer from 7pm onwards. WWYZ Bar — open to all Cantab (and the other place) alumni and guests. Information and registration necessary see here. 5th November 2018 — The Harvard Club of Belgium invited us to their: 2018 LEADERSHIP PRIZE | AWARD CEREMONY – | Seated Dinner — see here for more details. 24th October 2018 — The Stanford Alumni of Belgium invited us to a: Talk by Leah Weiss, Stanford Professor. Click on the link for more details. 5th October 2018 — The Harvard Club of Belgium invited us to a: Panel Discussion on Islam & Democracy – | Seated Dinner — see here for more details. 28th September 2018 — YPFP Brussels celebrated 10 successful years of fostering the next generation of foreign policy leaders in Brussels! €35 — see here for more details. 18th September 2018 — Populism — A Talk by Anton Jäger. Excellent event — photos to be posted soon. 11th September 2018 — LSE Event — A talk on “Breaking the Cycle of Radicalisation between far right, far left, and terrorist groups”. 10th September 2018 — Joint Oxbridge Freshers’ Welcome Event. 2nd September 2018 — Cambridge Summer BBQ — a great time was had by all. Even the sun shone! 24th June 2018 – Annual Croquet Match with Oxford at Genval. See here to get a flavour of what a wonderful event last year’s was. More information about our 2018 event here. 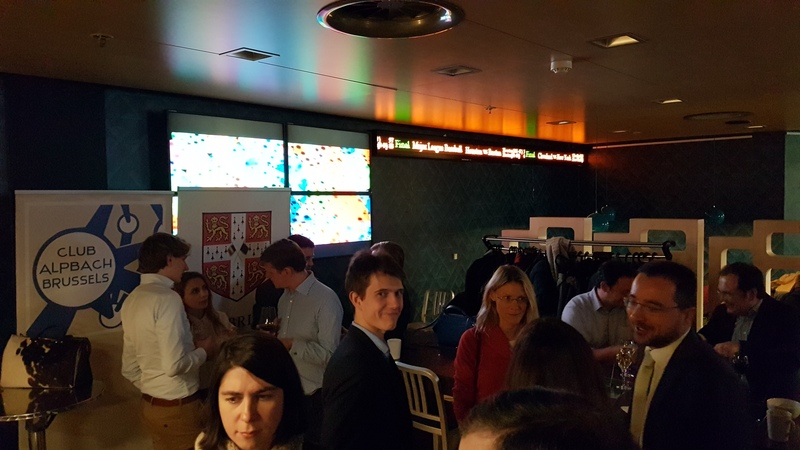 21st June 2018 – Cambridge Summer Cocktail. After the wonderful success last year we decided to make this an annual event. We welcomed Dr Johan Verbeke, DG of the Egmont Royal Institute of International Relations to De Markten. More details here and see last year’s event in 2017. 18th June 2018 — Brussels in the Middle Ages — Roel Jacobs spoke at the historical Balassi Institute (near St Gudule). More information here. 9th June 2018 — The Evensong features some of the greatest composers of choral music for us to enjoy including Serge Rachmaninov, Charles Ives, William Byrd and ending with the world premiere of a specially commissioned anthem by Stevie Wishart (Cantab). Please see here. 5th June 2018 – Harvard Club of Belgium invitation to Barbara Guggenheim Dinner at Westerlo Castle of the Princes de Mérode . Please see here. Note that GUEST fees apply (€100 per person) for none Harvard Members. It was a wonderful event with around 100 persons attending. 30th May 2018 — Mixer with Oxford. Launch event of Humans of the EU. (Click here). Our special guest wasSoundous Boualam (Cantab). “Mostly based in Brussels, this project aims to create an ongoing and exhaustive catalogue of the human face of the E.U.” See more about her project here. 16th May 2018 — Harvard Club Lunch-debate with European Commissioner Pierre Moscovici — Cantabs welcome, please see your email invitation or contact us. Please note that this event was CANCELLED. 12th May 2018 — Queen Elisabeth Music Competition – Concours Reine Elisabeth — all tickets sold out (three private boxes) but we have started a waiting list. Email invitation only ==> Great success. 2nd May 2018 — Yale Dinner invitation – “Michael Birnbaum” Washington Post’s Bureau Chief in Brussels – “The challenges and perils of covering transatlantic affairs as a journalist in the Trump Era”. It was a splendid evening. 24th April 2018 – Oxford Society Event – All Cantabs Welcome — Student Jam at Jazz Station. 24th March 2018 — Boat race gathering with “The Other Place”. We won both the Women’s and the Men’s. “The Other Place” won both bottles of bubbly. 27th February 2018 — Mixer with our friends from “The Other Place” with Ricardo Borges de Castro as Speaker. A fascinating event giving some unique and personal insights into the working of the EU. 13th February 2018 — Annual General Meeting — was well attended and surprisingly dynamic. 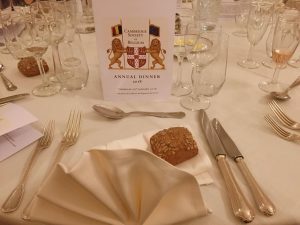 25th January 2018 — Annual Dinner — — Annual Dinner at the “Club des Officers du Premier Regiment de Guides“, with Prof Bill Nuttall. A renowned academic, researcher and expert on issues of technology and policy. Photos are here. 15th November 2017 — Yale Dinner with Tomáš Valášek as speaker (exclusive to members) ==> It was a fascinating speech and discussion on the need for a Pan EU Defence Force. Friday 9th June 2017 – Prestigious Cocktail in Brussels with the Oxford and Cambridge Society of India & the Oxford Society of Belgium. Tuesday 6th June 2017 – Oxford, Cambridge, and London School of Economics “Mixer”, 7pm onwards at the Aloft. 2nd May the Oxford and Cambridge Admissions Conference for new students was held at Linklaters LLP, Brussels. A few of the Camsoc Committee members attended to share their experiences. Next year we will try to make this event more open to the general membership, especially to recent students who can give the most recent experience. The turnout was excellent with around 50 people. 27th April the Wiener-Anspach Foundation officially launched their Alumni Network. The Foundation provides scholarships to students of ULB to study at Oxford and Cambridge Universities. We know several of the Cambridge Alumni had the benefit of these scholarships. If you wish to know more about this new alumni network please contact president@camsoc.be or the Foundation directly.